In 2015 I stumbled upon (as the Universe so often helps us!) the wonderfully creative world of visual/art journaling. I found a way of expressing what seemed invisible and unknowable and the world of the unconscious opened for me AND my clients in ways that coaching alone did not! In this process, we cross the threshold of our overly articulated outer world and into the inner world of imagery, symbols, metaphor, dreams, hidden parts of ourselves, and “the gold within the shadow”. Through Art Journaling we experience the ability to connect with and heal forgotten parts of ourselves, AND also see the larger story and patterns that are part of our collective awareness and our collective unconscious. We aren’t alone in our feminine journey! WOW!!! This process, that I organically evolved by merging COACHING PROCESS with art journaling techniques, has become a creative key that I can use – anytime, anywhere – to drop more deeply and intentionally into a development edge, or to play, or to express a joy, or to find deeper meaning in a life change, and more. When art/visual journaling, we leave the arid wasteland of corporate life, commercialism, toxic politics, and the ways we are harming our planet. We move into an inner world that is rich and healing and inspires new ways that we can show up in the outer world. We emerge with more hope, awareness, groundedness, authenticity, and clarity. If these are qualities you’d like to expand in your life, please join me for Seeking Light and Shadow! We just launched week 1 of the program and there is still time for you to join! I will be offering brand new art journal journeys and new art journaling techniques. So, if you’ve joined my other art journaling programs, you won’t want to miss this one! 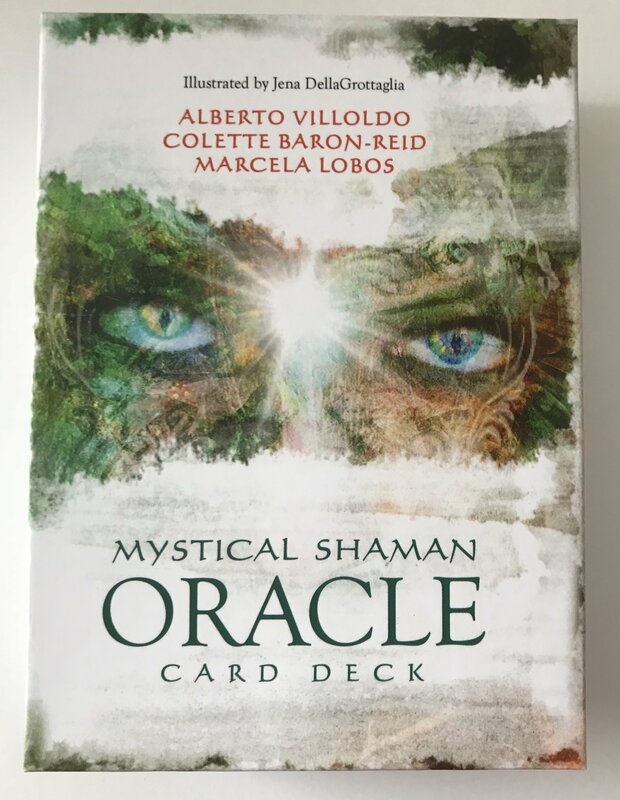 BONUS: Join this week and I will ship you the beautiful oracle card deck we’re using in the program, The Mystical Shaman. Seeking Light & Shadow is a gentle yet profound exploration that guides you from the outer world of to-do lists and into your inner realm where you explore possibilities, blockages, and listen to the whispers of your soul. You return to the outer world with a greater sense of self-love, authenticity and belonging.